Separation anxiety is a condition discussed most often concerning dogs, but you might be surprised to learn that it can occur in cats as well. What Is Feline Separation Anxiety? Separation anxiety in cats is a fear-related condition that leads to a cat being extremely distressed when she is left alone by her humans. Some cats experience separation anxiety even when other cats remain at home with her. Some of the signs of separation anxiety in cats can be signs of other conditions also, so it's important to check with your veterinarian if you see any new signs develop. Some of these signs can also be caused by stress or boredom so you might need to be a bit of a detective to determine whether your cat's behavior is due to separation anxiety or something else. Your veterinarian or a veterinary behavior specialist can help. Why Do Cats Develop Separation Anxiety? Why Do Cats Eliminate and Scratch Inappropriate Items When Suffering Separation Anxiety? Urinating, defecating, and scratching all leave a cat's scent on surfaces, marking their territory. 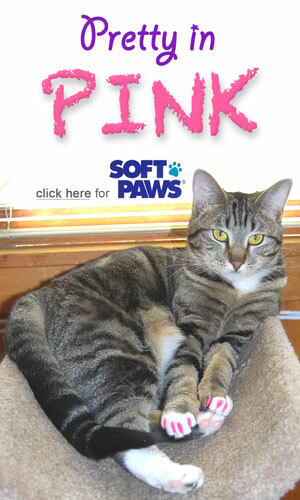 This scent-leaving process is soothing for cats and helps them feel better. That's why stressed, sick, and anxious cats often inappropriately eliminate or scratch. Rotate toys often, so your cat doesn't get bored and start ignoring toys. Be sure not to leave wand toys out, however, because they can be strangulation hazards when your cat tries to play with them unsupervised. Try a cat perch near a window, so your cat can sit and watch the goings-on outside. 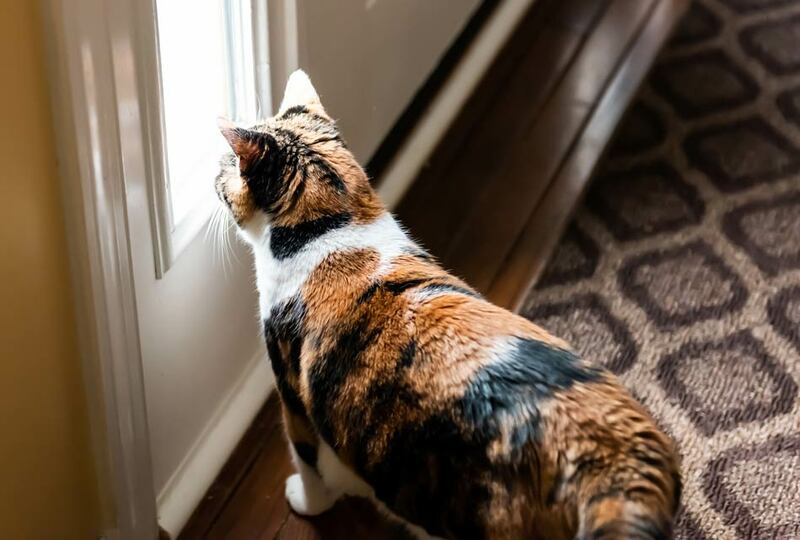 Seeing birds, squirrels, and chipmunks moving around out there can help your cat feel better. 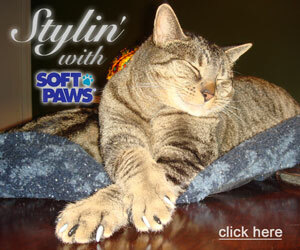 Use Feliway to help calm your cat. It is a substance that mimics the calming pheromone cats emit from their cheek glands. Use diffusers to saturate the area with these scents, and it might help keep your cat calmer. Some cats are soothed by having a nature show playing on television while they're home alone. You can try it out to see whether your cat pays attention to it or not. Some cats need medication to help them get through the roughest part of separation anxiety while you make environmental and other changes. Never give any medications on your own. 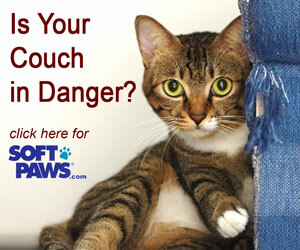 Always talk to your vet first because cats are highly sensitive to drugs.